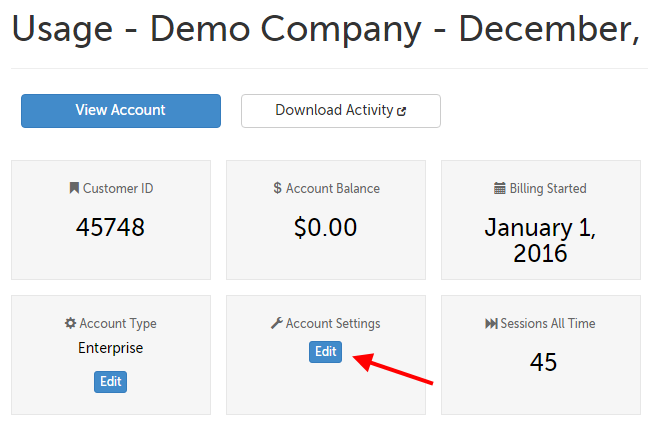 This support article goes over how an Account Administrator (Individual account holders are admins of their own accounts) can edit the password policy on the account to set passwords to expire after a certain number of days, or set the character length higher than 8 characters. 2. 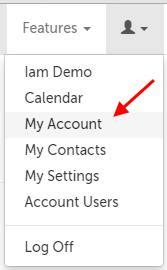 Underneath "Account Settings", click "Edit". 3. Enter a new value for the password length and/or how many days until users are forced to change their passwords. New password length requirement will be applied to any new passwords created (for new users, or for users changing their passwords). Already-existing users will not be required to change their passwords unless they reset their passwords, or their password expires. The new password length cannot be less than 8 characters. The timer for "Expire Passwords After Days" starts counting down immediately. Once this feature is enabled, users will not be allowed to re-use old passwords either. This article was last reviewed by our Support team on December 29, 2016.